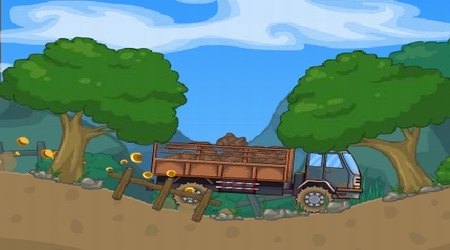 Move your truck using the Up and Down Arrow Keys. Balance your vehicle with the Left and Right Arrow Keys. 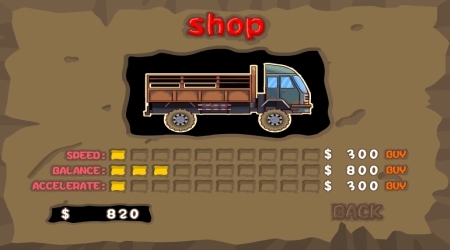 Go to the shop to buy some upgrades using the money you earned in the game. Do not let too many items fall off from your truck while traveling.